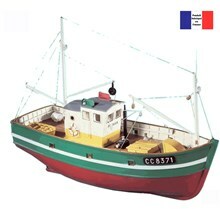 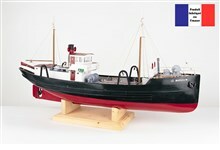 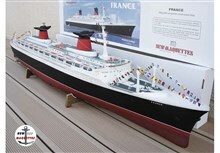 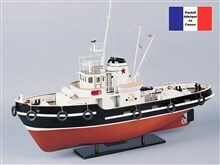 Specialist in naval model making, New CAP Maquettes manufactures, in his Nantes workshop, models of wooden boats to build, as well as their fittings: model of the liner Le France, models of fishing boats, warships, tugs. 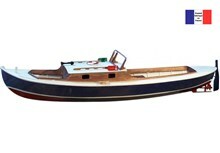 All wooden elements are pre-cut, the prow and stern blocks are either solid wood or resin. 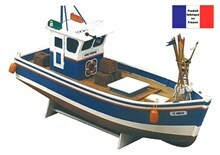 All our model boats can receive a radio control. 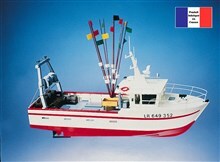 Each kit contains a propeller shaft and a propeller. 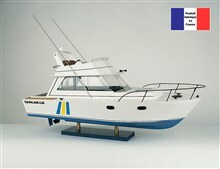 The care we bring to each model will make a unique boat. 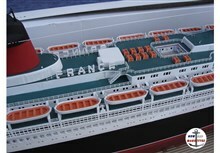 Delivery within 10 days depending on the stock. 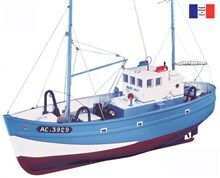 We also make crew figures in different scales.